Is this really difficult? The real answer is “No”. However, if you don’t engage the RIGHT TEAM from the start (and follow the timelines, directions and suggestions given by the experienced professionals that have done this for years), then it COULD BE an interesting process. Some of our competitor brokers have made this process sound like a root canal or heart surgery without anesthesia. The reality is, if you follow OUR TEAM’S recommendations and proven time lines, this process only takes FOUR to SIX months. 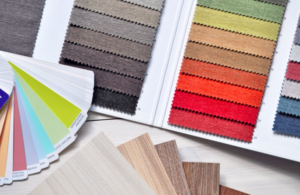 We have a complete team of Architects, General Contractors and Interior Designers that will HELP you lay out your practice exactly the way you envision it. Additionally, we work with several of the major DENTAL and MEDICAL equipment vendors that will participate in the design stage to ensure you have the correct equipment designed into the floor plan to provide the highest quality of care for your patients. Others say, “DON’T do it.” Why? I have heard many of our now HAPPY, former clients say that other brokers and Doctors said, “DON’T BUILD, BUY.” Upon further inquiry, it turned out that these other brokers didn’t want to bother with the Design/Build phase, as this meant LESS money for them and a LONGER wait to collect their commissions. Our philosophy is that it’s not about “me” or “us”. It’s about YOU, your FAMILY, your FUTURE, and your DREAMS. We want to see a happy doctor enjoying his/her surroundings. If you LOVE where you work, then you’re going to be a better medical practitioner. Additionally, other doctors that did build but DID NOT hire the right team (who probably waited two years to open after paying rent for much of that time without any income), will tell you NOT to build. Again, we can’t stress enough the fact that hiring the RIGHT TEAM to get this process done correctly is the MOST important part of this process. Please contact Frank Espinosa and his team of experts by filling out the below information and Frank will contact you to set-up a confidential appointment to discuss the process and get you on your way to buying your practice. Dental Medical Sales is a DBA of Frank Espinosa, PA a State of Florida Licensed Real Estate & Business Broker. Frank and his Team of licensed, dedicated professionals are here to help you Sell, Buy or Design a Start up Dental practice or Medical practice. Dental Medical Sales is a DBA of Frank Espinosa, PA a State of Florida Licensed Real Estate & Business Broker. Frank and his Team of licensed, dedicated professionals are here to help you Sell, Buy or Design a Start up Dental practice or Medical practice. As a member of International Institute of Business Analysis, the world's leading professional association for business analysts, Frank and his team will review all aspects of your business and new office business plan and help wherever possible to establish the correct value of your business and to also ensure you have covered everything you need to have for your new business plan to succeed. Copyright 2018 © Dental Medical Sales All rights reserved. - Web & Graphic Design By: Decographic, Inc.